Linda M. Nash, 62 of Grand Meadow, MN died on Friday (November 16, 2018) at her home, from complications of an illness with C.O.P.D. Linda Marie Steele was born on July 4, 1956 in Rochester, MN to Franklin and Elizabeth (Kern) Steele. Elizabeth later married Robert Richardson who raised Linda and her siblings.She grew up in Rochester and attended John Marshall H.S. Linda was married on November 10, 1973 in Rochester to Andrew P. Winkels. The couple lived in Rochester for a number of years where they had two children. They were later divorced. Linda was married on April 2, 1983 in Rochester to Rick L. Vagt. They had three children together and lived in Stewartville and later moved to Rochester.They were later divorced. Linda was a homemaker who was dedicated to raising her children and was employed in housekeeping at the Kahler Hotel in Rochester for a number of years and at Comfort Inn and Suites as a housekeeper. She lived in Pine Island,MN for some years and had moved to Grand Meadow in 2017 where she was living with her son. She attended Sunday services at High Point Church in Rochester. Linda enjoyed the outdoors: boating, camping, canoeing and fishing. She enjoyed baking, decorating for the holidays, especially Christmas, liked flower gardening and following the Green Bay Packers. Linda loved time spent with family, especially her grandchildren. 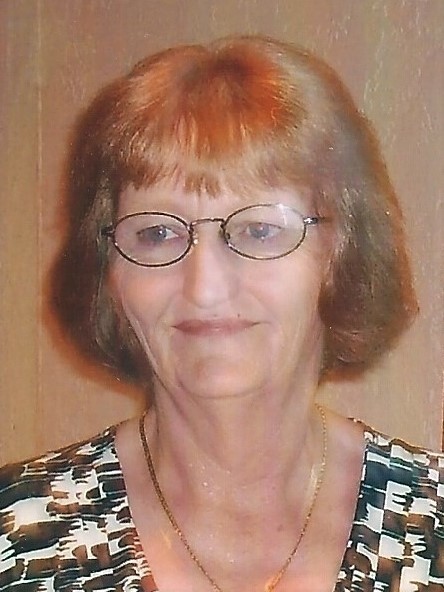 Linda is survived by 2 daughters and 3 sons – Nathan Winkels of Grand Meadow; Timothy (Dawn) Winkels of Northfield,MN; Tammy (John) Hershberger of Fruita,CO; Kimberly Vagt and Richard Vagt both of Grand Meadow; 7 grandchildren – Jonathan, Elizabeth and Michael Winkels, Taylor, Cody, Alex and Faith Winkels; 2 brothers – Robert Steele of Rochester and Edward Richardson of Stewartville; 3 half - brothers - Bruce Steele, Robert Steele and Terry Steele and many nieces and nephews. She was preceded in death by her mother - Elizabeth and her stepfather - Robert, sister - Sherry and an infant grandson - Noah.